Join pianists Louis Landon and Michele McLaughlin for an enchanting evening of music and storytelling as they tickle your musical funny bone and delight the senses with their passion for music. 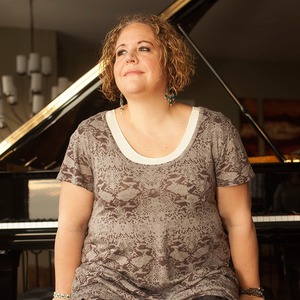 About Valley View Concerts:Michele McLaughlin's "Valley View Concert Series" featuring renowned piano artists from around the world. These are in-home concerts, up close and personal around the piano with the artists in Michele's living room. If you've never attended an in-home concert before, they're a real treat. We love performing this way because it is so intimate and personal, the energy at these concerts is unlike anything else. They're so much fun! Each Concert has 50 seats available. Doors open 30 minutes before showtime. This event is not wheelchair accessible or ADA compliant. Refreshments will be served. There will be a free CD giveaway, CD's and sheet music will be available for sale, and you can mingle and visit with the artists during intermission and after the concert. Due to the nature of this event, we ask that you find care for children under 8. This is a solo piano concert at a private residence. The address will be provided upon completion of your ticket purchase. If there happens to be snow on concert night, a 4WD or AWD vehicle is recommended to get to the concert location. Please email michele@michelemclaughlin.com with questions.